The Empire State Building is one of the most popular landmarks in the whole world. Thanks to a number of movies filmed in the skyscraper, the Empire State has become one of the places to go to for lovers and families alike. William F. Lamb designed the building. He produced the design drawings in just two weeks because the firm he worked for (Shreve, Lamb, and Harmon) had already designed the Reynolds Building in Winston-Salem, North Carolina and the Carew Tower in Cincinnati, Ohio. Did you know that the Empire State Building used to be the tallest building in the world? It held that distinction from 1931 to 1972 for a total of forty-one years. Even though other skyscrapers have sprouted and dwarfed the 1,250-feet-tall (1,454 feet to the top of the spire) Empire State Building, it remains one of the most majestic man-made wonders in history. Located in the heart of Manhattan, the building has 103 floors, 1,872 steps, 73 elevators, and 6,514 windows. Imagine how much work the window cleaners have on their hands! On the 86th and the 102nd floors are observation decks where most of the tourists flock. It’s a good thing the decks are strong since around four million people go there each year. There is an annual race where the competitors must climb up to the 86th floor. That’s a total of 1,576 steps. Whew! The lightning rod perched on top of the building attracts lighting at an average of twenty-three strikes per year. The Empire State Building is one of the most photographed buildings in the world. This was determined by a group of researchers from Cornell University who studied Flickr photos numbering in the millions. There are several ways to visit this most famous building in New York City. 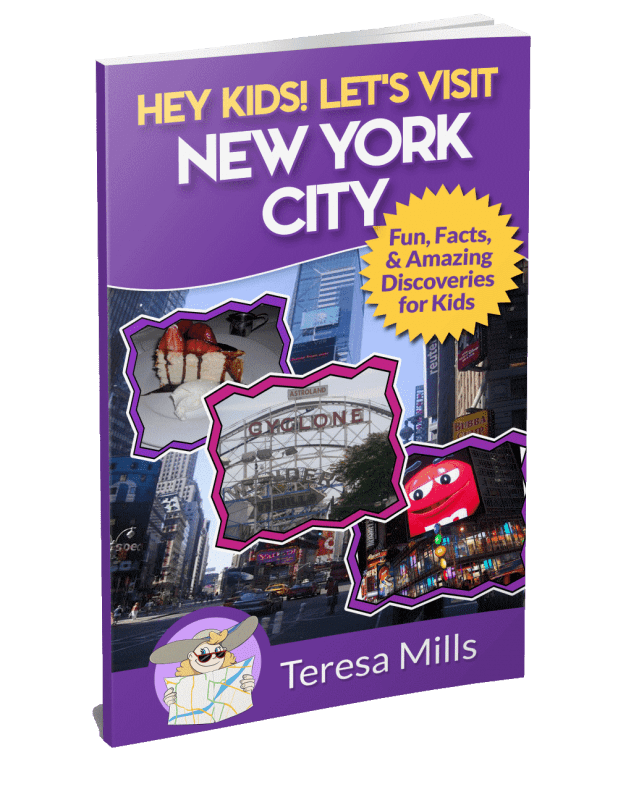 Learn more about New York City in our Hey Kids! Let’s Visit Book series for older kids! 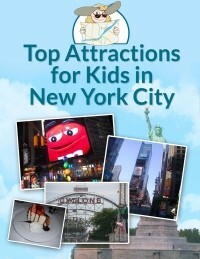 Hey Kids Let’s Visit New York City is available in kindle and print version. 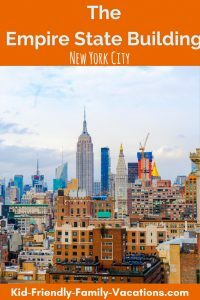 Top Attractions in NYC for Kids! Free Download! Top Attraction Choices in NYC for each age group! Just enter your email address below, and we will send you the latest version of the attraction list! 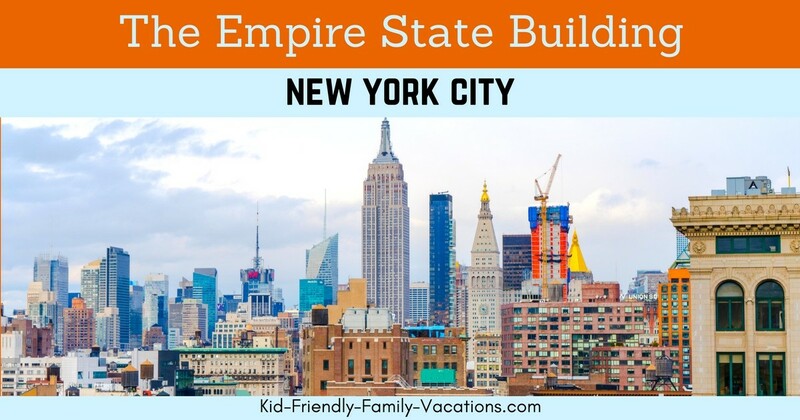 Educate the kids in your lives about New York City!